Being a fan of Bikes and Typography, you can imagine my excitement when I ran across this post on Urban Velo. 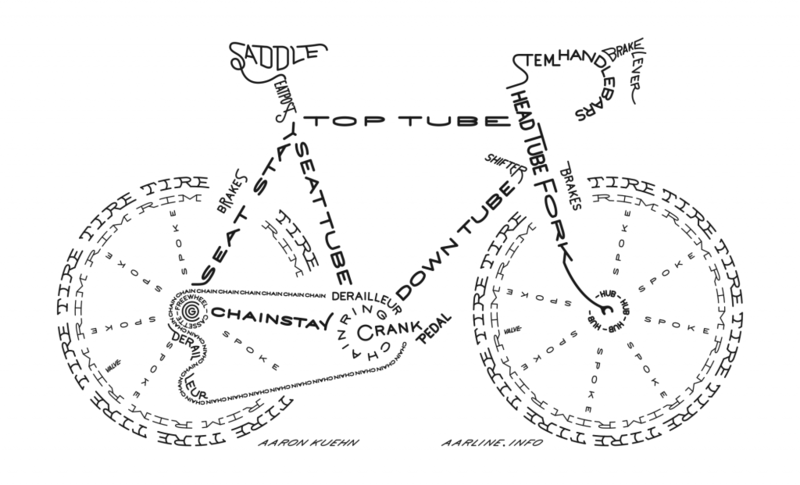 Check out HOTaar's (via Aarline) really cool typographic bike poster. The first, limited edition print in copper was sold out, but it looks like Aaron Kuehn is taking pre-orders for the second edition - in light gray or schwinn blue. Signed and numbered, this is a great piece of bike art for only $30 a print.